NIC hosted on Thursday Mar.14th. 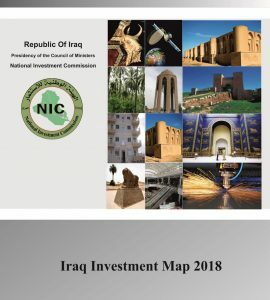 19 the last day of the workshop specialized for supporting the investment process in Iraq which had lasted for four days, and was prepared in cooperation with the US Department of Commerce and the US Embassy in Baghdad. The last day of the workshop was dedicated for the tourism sector in general and hotels business in particular with the attendance of the DGs of the five star hotels in Baghdad and other provinces. Dr. Sami Al- Araji assured, through his speech during the works of the workshop, the big importance of the tourism sector for the GDP of any country and especially in Iraq which owns a big tourism characteristics represented by religious shrines and archeological sites, not to mention the hospitable nature of the Iraqi people, referring that the most important anchor for the Tourism sector in Iraq is hotels which can reflect a positive side of the country. 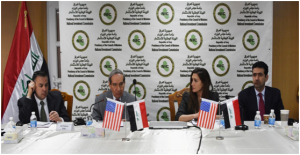 On the other hand, Dr. Al- Araji showed the importance of what had been discussed of issues that support the ongoing investment process in Iraq during this workshop conveying his gratitude and appreciation for the role played by the US departments of Commerce and State and the US Embassy in Baghdad for making this workshop a success to support the Iraqi Economy. 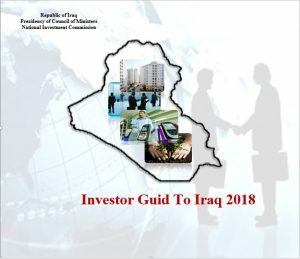 Discussions were conducted to agree on the ways that can leverage the hotels reality situation in Iraq and raise its position in the international index through providing services that are internationally accredited with the importance of adopting the scientific approaches to find solutions for all obstacles hindering the development of this important sector in Iraq especially what relates to the administrational side. The meeting was attended by a number of hotels managers from Baghdad and a number of provinces.